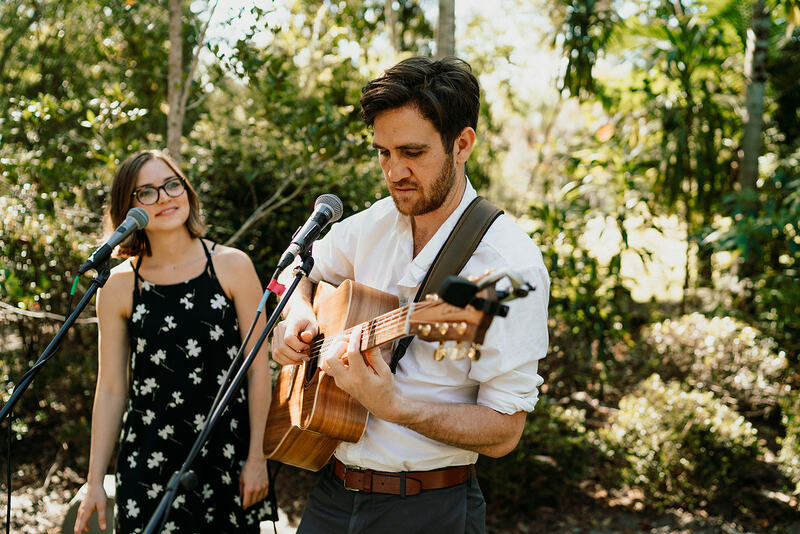 Kristen and Chelsea are a Noosa based husband-wife musical duo providing quality live music and DJing to the Sunshine Coast, Brisbane, and beyond. Playing over 150 gigs together every year, predominantly weddings and corporate functions, The Famo's aren't just a couple of musicians thrown together, they are a true duo that plays and sings together as one. Being a duo allows The Famo's to be versatile enough to cover the musical needs of your entire wedding (without breaking the bank!) - from the intimate and beautiful sound that you need for your ceremony, to the upbeat and lively atmosphere of your reception - with an added DJ option for those wanting to boogie long into the night. Music has an amazing power to command the atmosphere of an event - lifting it up or bringing it down. Book the Famo's to provide the perfect musical backdrop for your special day, ensuring no music-less moments, so that you can put your mind on more important things (like getting married! ).